In addition to spending time thinking about and talking about the meaning of Memorial Day; my family’s weekend was chocked-full-o stuff. Seriously, I don’ think we could have fit another thing in. Thursday–My oldest daughter passed her driving test and received her Washington State driver’s license. It is hard for me to believe that this actually has taken place. She passed on the very first try. I guess those 75 + hours riding around with her in the car paid off! On one hand I am so proud of her, but on the other hand it makes me feel exceedingly old. Friday–Our family joined with other families from church and from sister churches in our association at a Seattle Mariner’s baseball game. 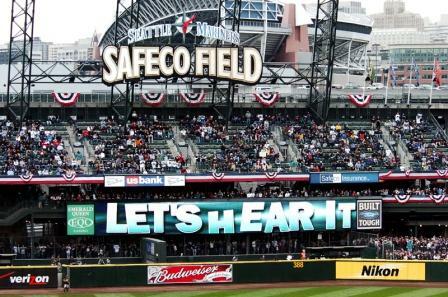 Safeco Field is such a wonderful place to watch a baseball game. Of course the Mariner’s lost and we spent way too much money but it was great fun! They played the Los Angeles Angels of Anaheim (what a joke of name–I remember when they were just “The California Angels”) and Albert Pujols hit one out to right-center field. 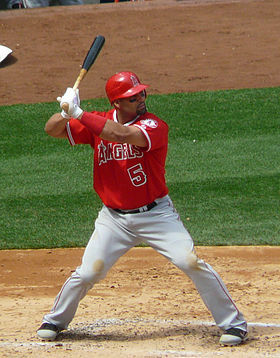 Pujols is one of this generations greatest players as well as a committed Christ-follower. It was great to see. Saturday–We were so busy on Saturday that we had to divide up action. The day started with Mrs. Greenbean driving me to Puyallup to pick her car up at the dealership. It had some work done on it. The best part was that we got to spend time just driving and talking. I love my wife so much. Then in the afternoon we had to divide up to get stuff done. My youngest daughter and I went to a cook-out at a friend from church’s home to celebrate their 10th year in their house while Mrs. Greenbean and my oldest daughter worked on her “portfolio” for school. Sunday–Sundays are always busy and this past week was no exception. There were many highlights. I preached about Philip from Acts. He is one of my favorites because he just does his job, which is whatever God puts in front of him. However, my favorite part of the day was probably the teaching elders meeting on Sunday night. We wrapped up our end of the semester quizzes and teaching information and then brainstormed about how we can make our small groups stronger. It is such a joy to work with devoted, loving, knowledgeable, and Spirit-filled people. Monday–In the morning we spent some time thinking about the reason for Memorial Day and how so many gave their lives so we can live in freedom–then we celebrated with a picnic! The night before I made fried chicken, potato salad, and banana pudding. To me nothing says picnic like cold fried chicken and potato salad! The food turned out great. I think the banana pudding was my best batch ever. It took so long for the pudding to ‘puud’ when I was cooking it, but it paid off. 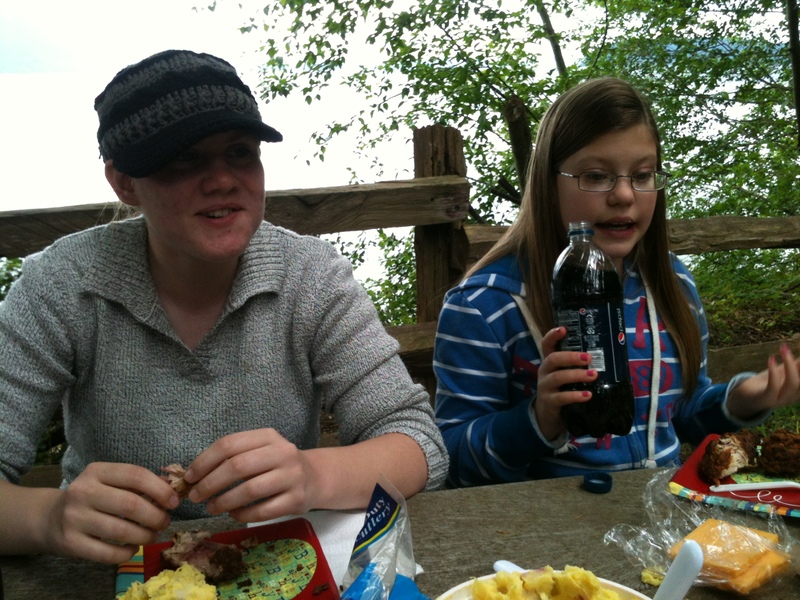 We had our picnic at Scenic Beach State Park in Seabeck. It would have been nice if the weather had been better (like it was on Saturday!) but it was still great. We ate, walked on the beach, and played cards. My youngest took samples from the water in her specimen vials to look at under her microscope. Then we saw Men in Black 3 that evening and went to bed. I spent all day Tuesday catching up. That is the problem with long weekends, work still accumulates. That is why I am posting this today and not yesterday. Sounds like you had a great holiday weekend! we did–thanks. i hope you did as well. Sounds as though the weekend was well spent.. Enjoy those girls. they are home only a short time.. then back again in a different role.. Care to review Men IN Black? thanks for the pic of the girls. great! I thought of all of you on Memorial Day and the picnics I enjoyed there. I love Scenic Beach.